A wrap of all the action in Rd 17 of the SAS Fox Memorial Premiership. A spirited comeback saw Mt Albert upset Pt Chevalier on the road, to keep their play-off hopes alive. Down 10-0 early, the Lions rallied to trail 16-12 at the break. With eight minutes left it was rookie dummy-half Aiden Aue who pulled the Lions even with a try, before Emmanuel Tuimavave-Gerrard slotted the winning conversion. Club junior Eiden Ackland earned Man of the Match honours with a strong showing in the halves. The Marist Saints have been relegated from the first division, following a 24-12 loss on home soil against Howick. The gritty Saints trailed by just two points at the break, but couldn’t stop their opponents’ roll in the second. Howick captain Jethro Friend was a standout at dummy-half. 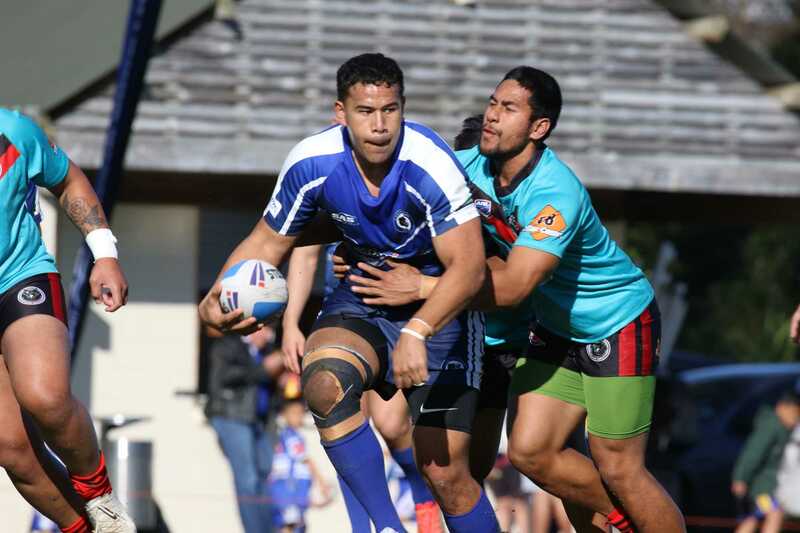 The Papakura Sea Eagles dodged any chance of being relegated, with a huge come-from-behind victory over Otahuhu. Down 30-6 at the break, Papakura charged back into the contest to even things up at 34-all with five minutes to go. With three minutes left on the clock, experienced playmaker Willie Stowers went through for an emotional match-winner, which guarantees Papakura will play in the first division next year. A double from captain Taylor Daniels helped lift Northcote to a comfortable win over Richmond, which confirmed the Tigers’ place in the play-offs. While they led by only eight at half-time, the Tigers hit their straps in the second stanza and the points followed. The Glenora Bears ran riot at Harold Moody Park to ensure the Roope Rooster challenge trophy remains with the club through until next season, and wrap up the Rukutai Shield minor premiership in the process. Powerhouse middle forward Paea Manukia scored two first-half tries on his way to Man of the Match honours, while fullback Polima Siaki also grabbed a double in the win.